Materials: Brass, brass-plated iron. Cast iron counterweight in base. Fabric lampshade. Plastic socket. Period: 1980s, 1990s – Hollywood Regency. Other versions: Probably also made in a bigger version. 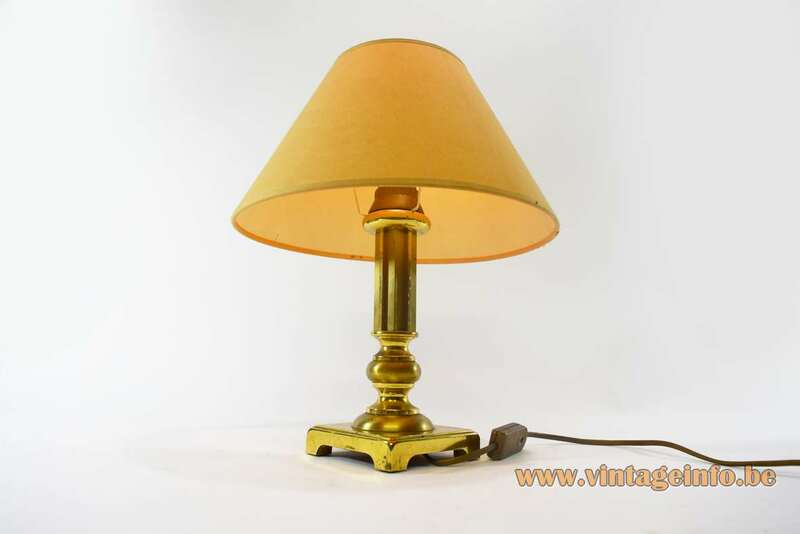 A typical lamp in the “Hollywood Regency” style. 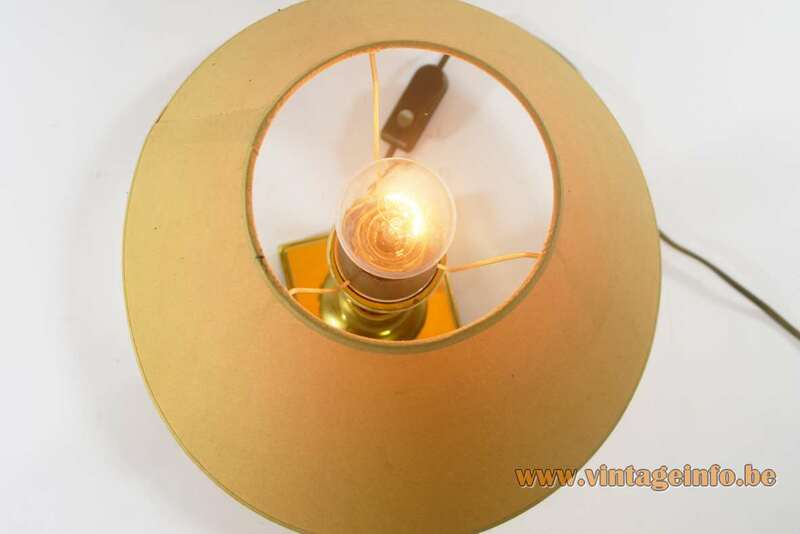 It has all the looks of a Sciolari table lamp, but it is not. All the Sciolari lamps have a cast iron counterweight made by Sciolari. It is casted in the metal. 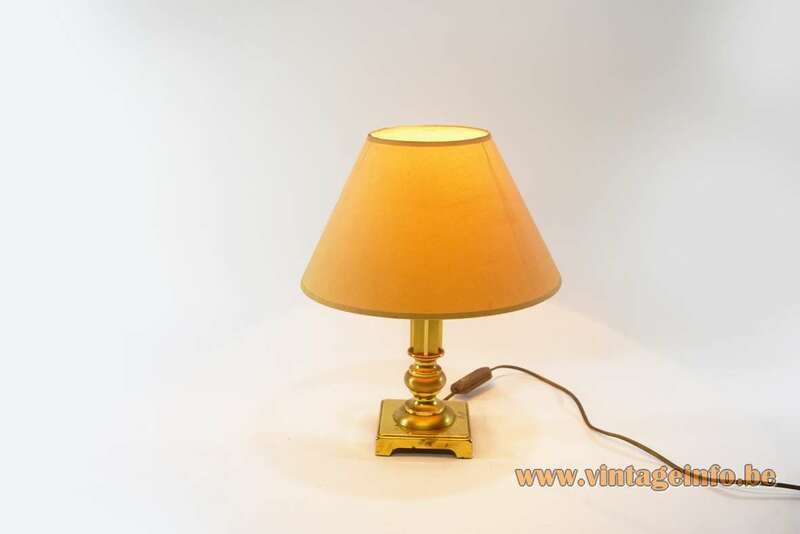 This lamp has a cast iron base made by Erwi. Erwi was a cast iron producer, not a lamp producer. Erwi made cast iron counterweights for several lighting companies. Erwi produced many items in cast iron, for instance also Christmas tree stands. In all probability a German company. It does not exist anymore. Kaiser Leuchten (Gebr. Kaiser & Co. Leuchten KG) and Philips (Koninklijke Philips N.V.) were two of the most important customers. 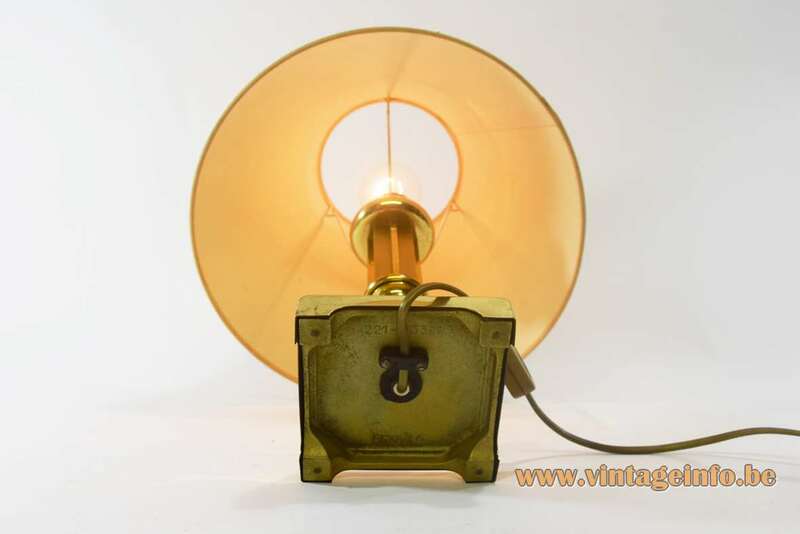 For example, the famous crow’s foot table lamp by Philips designed by Louis Kalff in the 1950s uses an Erwi base. The switch and all the other electric parts were made by BJB in the late 80s, early 90s. The BJB company was founded in 1867 and started with petroleum lighting. The company still exists. 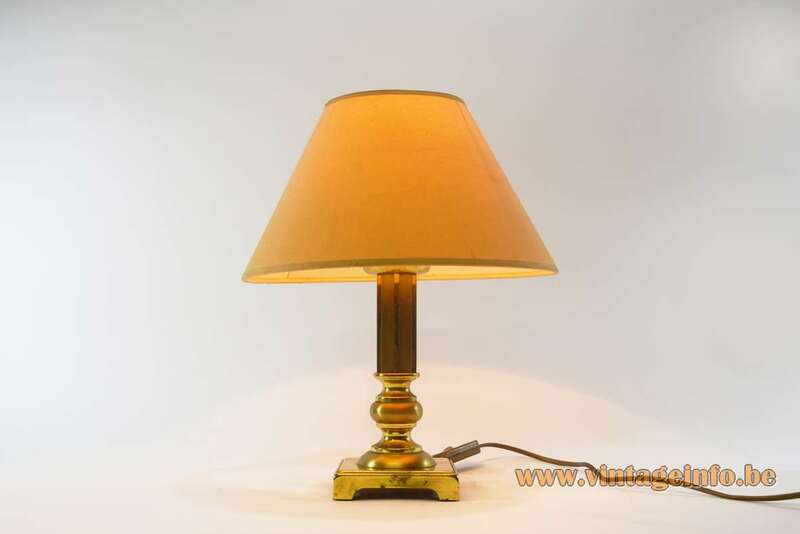 Today they produce LED lamps, terminal blocks and connectors, lamp holders for conventional lighting and switches. They are active in the whole world. BJB GmbH & Co. KG is located on Werler Strasse 1, 59755, Arnsberg, Germany. 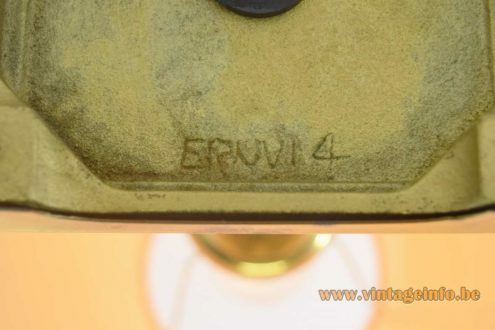 The BJB company confirmed that the switch is produced by them since the 1970s. The switches were all integrated in luminaires by lamp manufacturers.